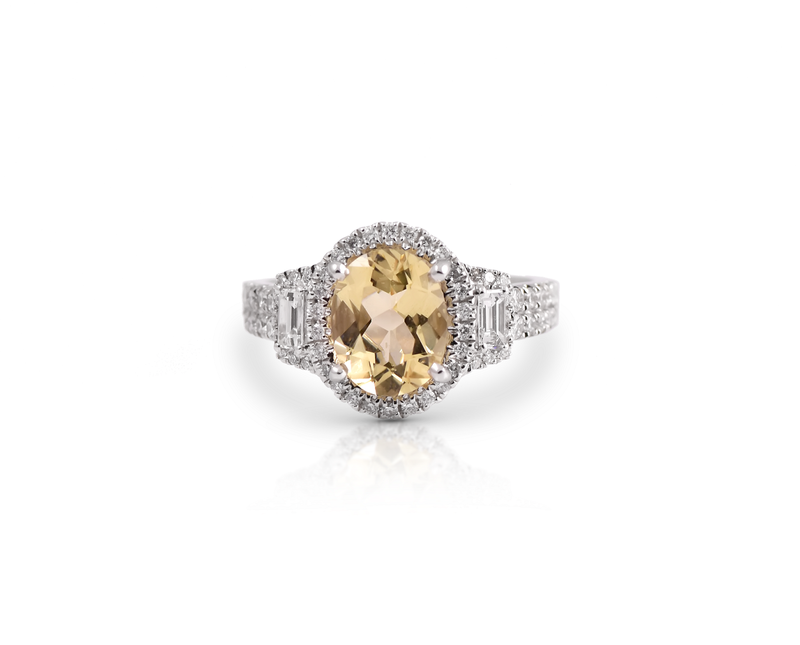 An 18k white gold yellow beryl and diamond ring. The ring is set with a 1.57ct oval cut yellow beryl which is surrounded by a diamond set halo and shoulders. 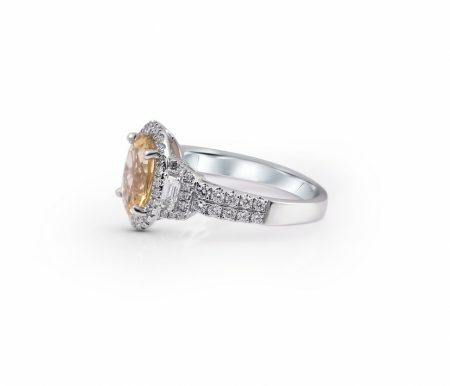 Love oval cut stones? View our range here.